The local economy may be going through a few rough patches but there are bright spots on the horizon. For one, the Philippine automotive industry is slowly yet steadily growing, currently producing 400,000 cars yearly versus 100,000 a decade ago. Annual car sales in the country are also projected to reach one million units by 2028. The increasing demand means the industry will make more cars, requiring more quality engineers, technicians, specialists, and other professionals within the decade. With the Philippine automotive sector becoming an employment hotspot, companies are partnering with the public sector to raise awareness about the different opportunities that jobhunters and educational institutions can maximize. Last September 28, the Philippine Auto Industry-Academia Linkage (PAAL) Congress was conducted by a coalition of four organizations – JobStreet Philippines, Department of Trade and Industry-Board of Investments (DTI-BOI), Japan International Cooperation Agency (JICA), and Technological Institute of the Philippines (TIP). The first-of-its-kind the country, the event connected schools and training centers with automotive companies, bolstering collaboration and cooperation towards future projects and programs that can benefit more students, jobseekers, and businesses. The coalition estimates that by 2028, direct employment in the industry will grow by 700,000 to 1.17 million more jobs. Indirect employment will also increase, with many new jobs expected to open in the production of car parts and materials, automotive sales and maintenance, transport and storage, and petroleum stations. For these prospects to be optimized, the industry needs to address the limited knowledge and on-the-job training opportunities in the different companies, processes, and technical skills involved in the car production chain; human resources’ difficulties in fielding and finding candidates with suitable educational background; and the need for schools and training centers to connect to a bigger and more beneficial network of partners. The PAAL Congress thus brought together students, teachers, trainers, employers, engineers, and executives in a series of learning and networking sessions. It aimed to help participants better understand the industry as a whole – its different players, demands, and standards; realize the career potential and different opportunities opening up in the automotive sector; and enable car companies to offer more input in schools’ curricula, thereby developing the right employee candidates in the near future. The different talks by field experts offered an overview of the local industry, sharing its realities, trends, potentials, job market needs, and future goals. Participants also heard from practitioners in a panel discussion and asked questions in a fruitful Q&A. Later in the day was the career and product exhibition that showcased the various companies in the automotive supply chain and the different job options. Resumes were also submitted and same-day interviews were held. “There are more than 100 companies in the industry’s supply chain. With the expected growth in the sector, there’s going to be a lot of recruitment activity within the near future. Through the congress, the partnership has opened bigger doors for dialogue and cooperation, which in turn will provide the sector with valuable information and insights that can multiply opportunities further. 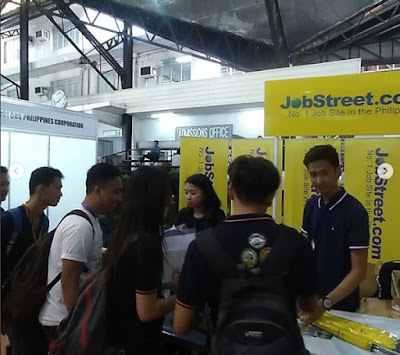 We at JobStreet Philippines have been learning so much through this partnership, and we consider it a pleasure to be able to use this knowledge to make the best-fitting matches between even more employers and thousands of Filipino jobseekers. This partnership has empowered all of us here to create and seek even more growth prospects for more people,” says Philip Gioca, Country Manager of JobStreet Philippines. As a post-event service and to ensure the long-range impact of the event, feedback will be collected. Among the success indicators are the number and quality of industry-academia partnerships that were formed, job applications facilitated, increased interest and engagement in auto industry careers, and regular communication among the participants who connected with each other. Summaries of the speeches and discussions, tips and other learnings will also be shared online to reach more people. Over 50 educational and training institutions, 40 companies, and 800 individuals joined the congress, which is also part of the Elaboration of Industrial Promotion Plans using Value Chain Analysis project. The two-year pilot project operated by JICA and DTI promotes the automotive industry through the development and implementation of concrete policies and plans. For more information about JobStreet Philippines programs and events, visit www.jobstreet.com.ph.